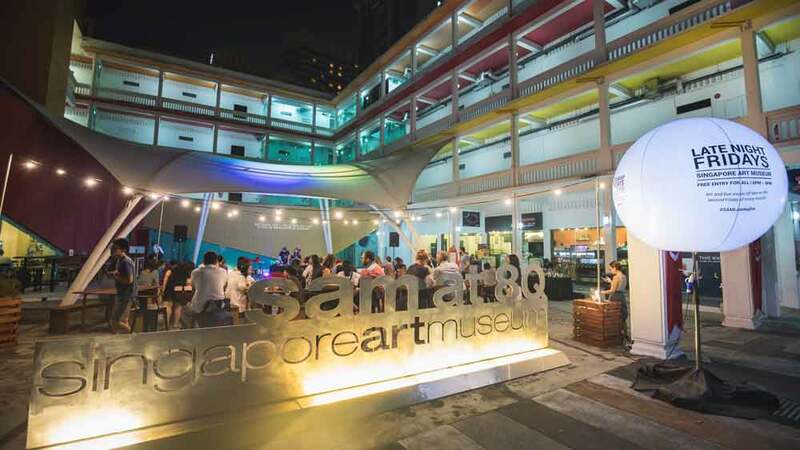 If one of your 2019 resolutions is to be immersed in Singapore’s blossoming art and culture scene, the Singapore Art Week 2019 at SAM beginning 18 January is a great place to start. 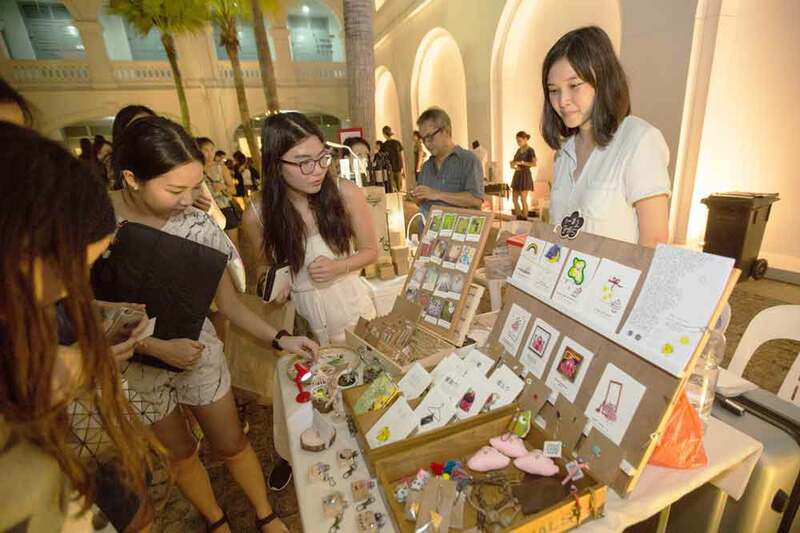 The Singapore Art Week offers a friendly atmosphere to better understand Singapore’s burgeoning talents through the President’s Young Talents 2018 exhibition. 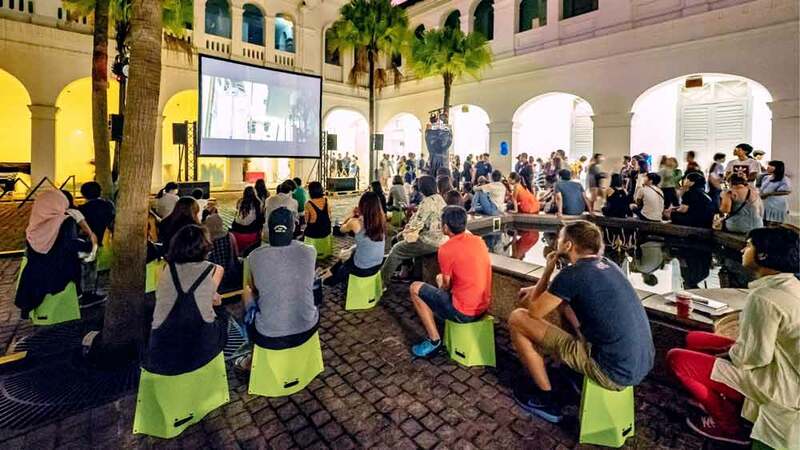 Besides the exhibition, you can enjoy free outdoor movie screenings, art workshops, live bands, an artisan market and a community carnival which features a live-sized board game. The President’s Young Talent is Singapore’s premier and only mentoring and awarding programme which recognises local talent aged 35 and below. 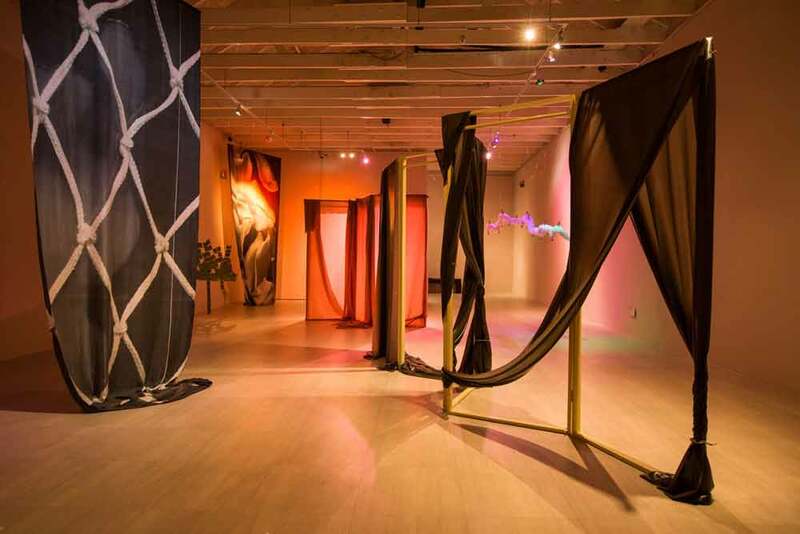 Pictured above is grand prize winner Weixin Quek Chong’s installation sft crsh ctrl. The installation was lauded by the panelists for its command of space and possessing elements of risk. Catch the thought-provoking work, which challenges viewers to depend less on their rationality through an immersive aesthetic experience, and other prize winners of SAM’s President’s Young Talent 2018. Local art collective Kult creates an immersive community carnival for you and your friends to enjoy. 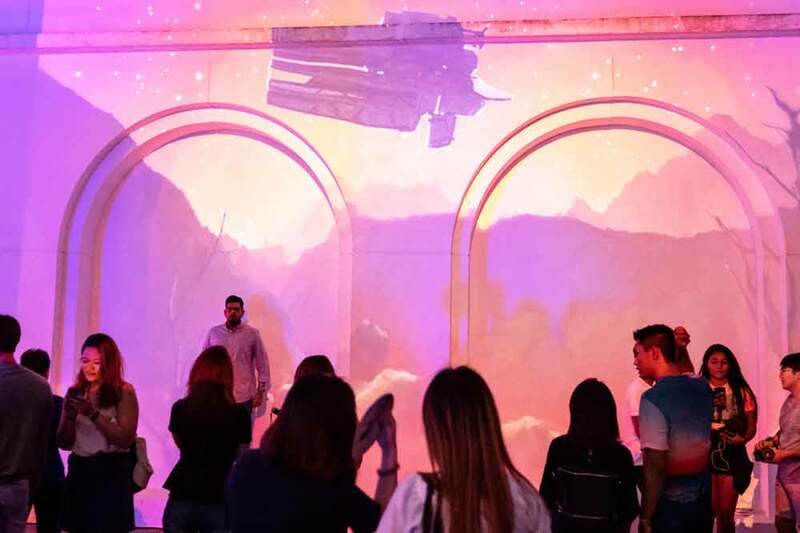 Challenge each other in a life-sized board game based on Emojis, engage with interactive projections and get ready to be surprised by a uniquely crafted theatre performance. Relive the emotional melodies Never Enough and A Million Dreams as Hugh Jackman plays circus legend P. T. Barnum. Sing along to your heart’s content because you won’t be trapped in an enclosed cinema this time around. By Eating Air director Kelvin Tong, this movie celebrates amusement park Great World where many families frequented in the past. Take a trip down memory lane with your family and experience what life was like in Singapore before the internet. Browse homeware, accessories, crafts and delicious treats at the popular SAM X TLP Community Art Market. Almost all of the wares and food on sale are made by local designers and chefs. There will also be live music to create a relaxing, festive vibe throughout the day. Kicking off Singapore Art Week, local bands Mannequins, The Groove Gurus and Bakers In Space will bring their best tunes out for a 3-hour set. Gather your music-loving friends and take a break from your usual Spotify playlist by indulging in live music. Participate in this family-friendly workshop that allows you to create realistic wounds and scars. Led by Makeup Maestro’s lead artist, learn how to use household products and special effects modelling wax to create realistic cuts on yourself and impress your friends on Halloween. Experience another dimension of the President’s Young Talents 2018 exhibition as poets Manickavasagan Ashmita, Christine Chia, Chua Poh Leng, Shivram Gopinath and Charlene Shepherdson bring you on a specially coordinated trail. There will be live readings of multilingual poetry written in response to the artworks based on the themes of scars, nostalgia and spirituality. 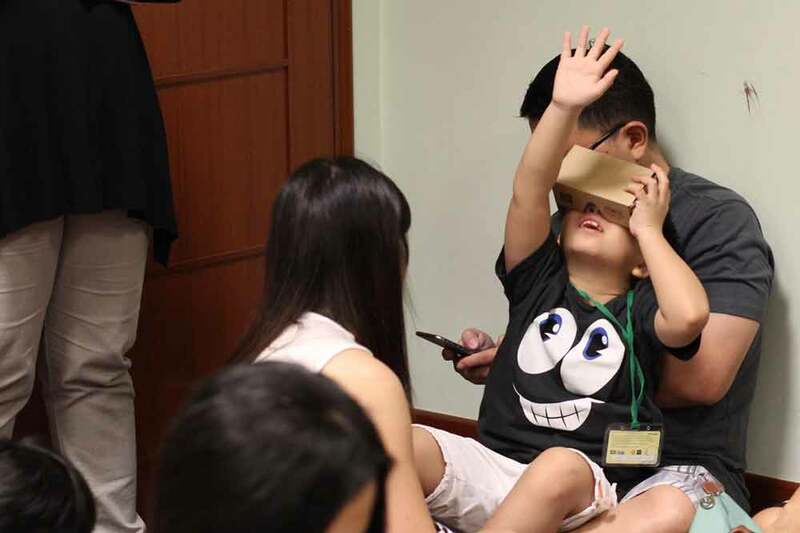 Create your own virtual reality (VR) and augmented reality (AR) project based on the Singapore Biennale 2019 theme: An Atlas of Mirrors. Feel free to bring along your child* as this workshop is designed for parent-child bonding. Remember to charge your smartphone as an app is required to participate in the experience. *Suitable for children aged 6 and above. Local performance artist Irfan Kasban explores how tourism changes sacred spaces and the faces of the otherworldly beings that inhabit them. The performance involves Irfan inhabiting the spaces of worlds between the hills, land and sea while seeking to find his image on reflective surfaces, including audiences’ eyes. 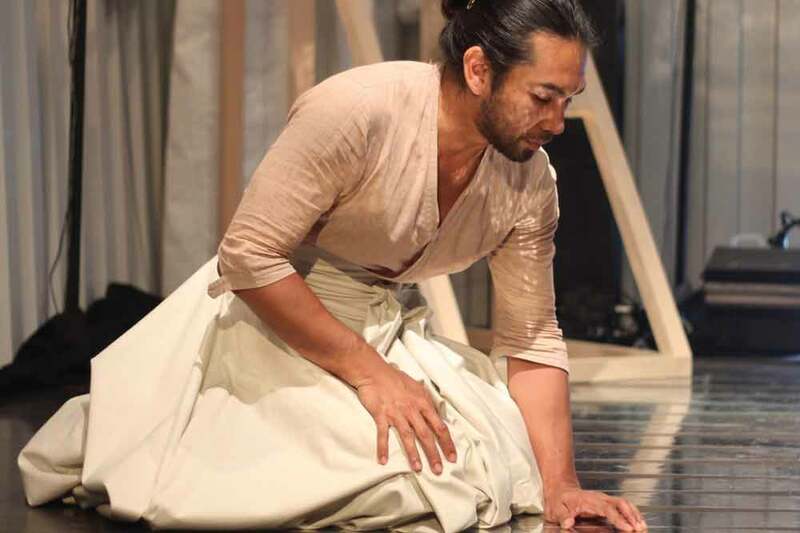 The performance is in Malay with English and Japanese subtitles. Art jam for free after brunch by dropping by the art workshop running from afternoon till night. Express your appreciation of Singapore’s beautiful landscape as you create your own ‘guardian’ to protect it. 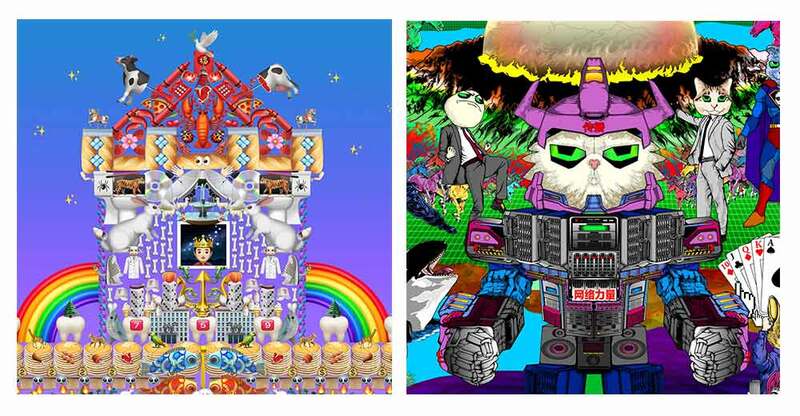 Preview the Singapore Biennale 2019 at the Teaser event, with artists Zai Tang and Arnont Nongyao. 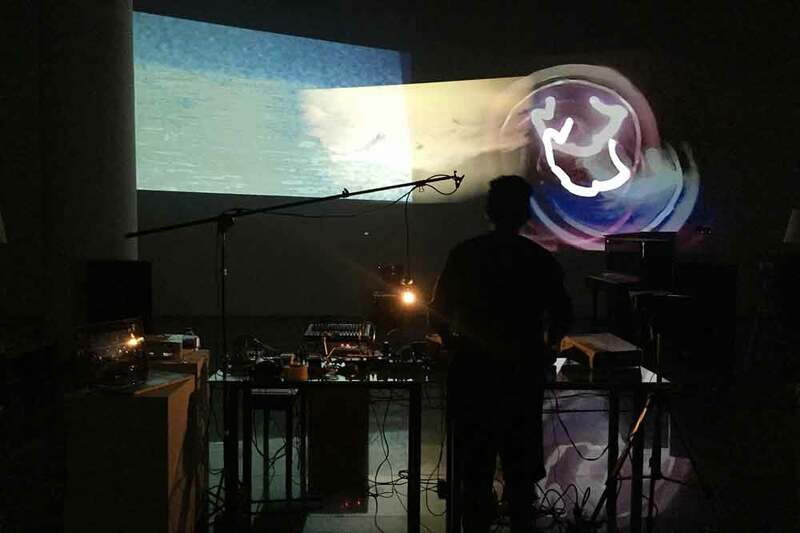 They will create an immersive soundscape using field recordings of Singaporean habitats as well as Thailand markets. There will be an improv jamming session at the end, so be sure to stay for that. 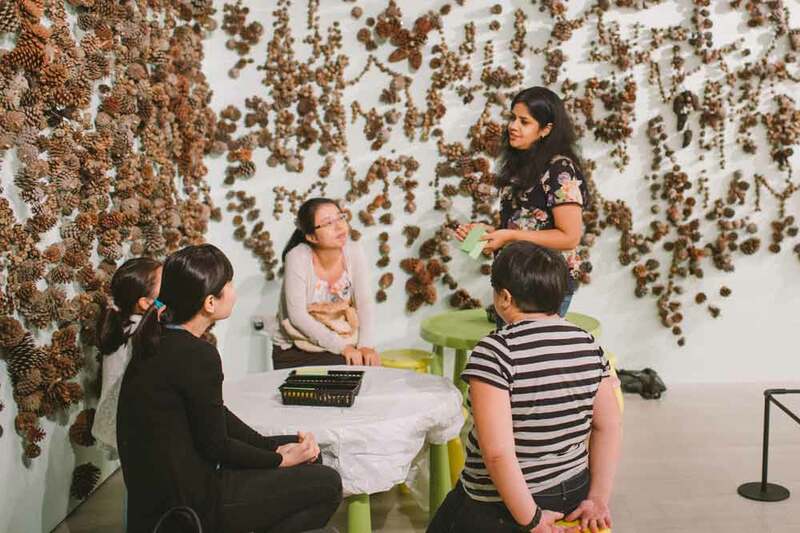 With the arts made so accessible, be sure to not miss out on the exciting activities available during the Singapore Art Week 2019. 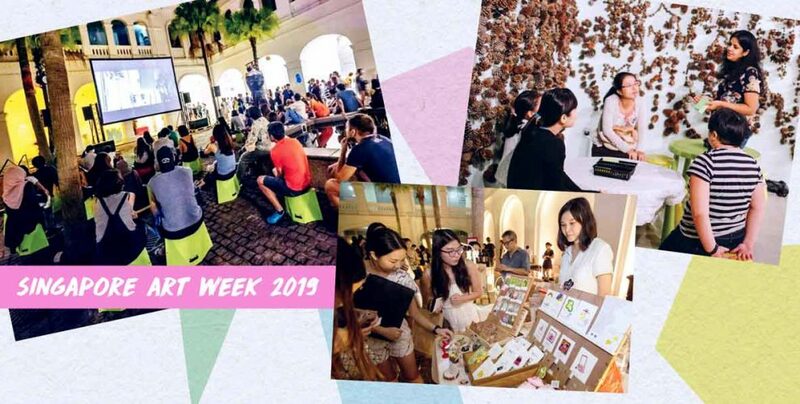 Check out the full list of events during the Singapore Art Week 2019! This post is brought to you by the Singapore Art Museum.